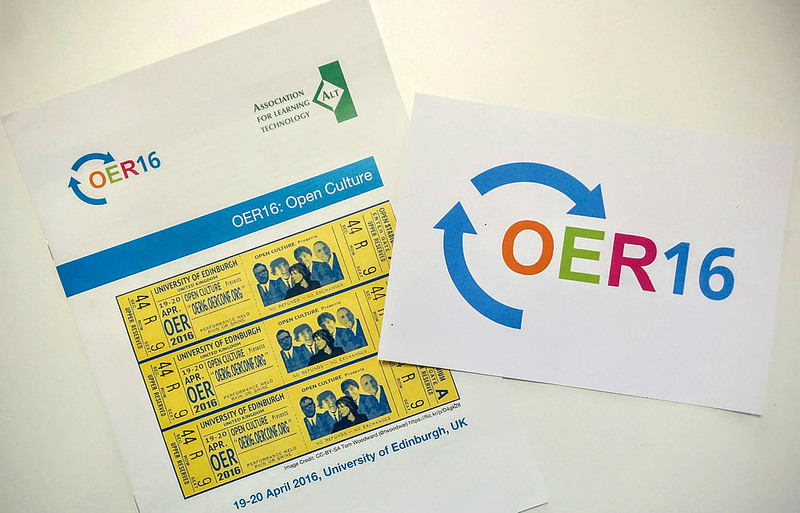 OER16: Open Culture will take place 19-20 April at the University of Edinburgh. The vision for the conference is to focus on the value proposition of embedding open culture in the context of institutional strategies for learning, teaching and research. "I am delighted we are able to host OER16 conference at University of Edinburgh. The University is committed to open education and the conference theme of open culture resonates with our work and mission. We have recently launched our OER teaching and learning policy and colleagues from across the university will present their work at OER16. It is a perfect opportunity to celebrate the value of sharing and community." OER16 offers many opportunities for remote participation, the majority of which are free of charge. All five keynotes by Catherine Cronin, Jim Groom, Melissa Highton, John Scally and Emma Smith will be streamed live on ALT’s YouTube channel, and will also be available to view after the conference. There will be a wide range of social media channels including Twitter feeds, blogs, hangouts and internet radio broadcasts, facilitated by the ALT Open Education SIG, Radio #EDUtalk,Virtually Connecting and others, which will enable remote participants to engage with and contribute to the conference. With 175 delegates, 100 presenters from 29 countries and strong support from volunteer conference committee and the ALT Open Education Special Interest Group, our community is coming together to explore key questions around openness in education, open strategy and policy and , Innovative approaches to opening up cultural heritage collections for education. All conference information and live streams are available at https://oer16.oerconf.org/ . If you would like a press pass to attend the conference, please contact Maren Deepwell, maren.deepwell@alt.ac.uk . About OER16 information is available at https://oer16.oerconf.org/about/ . The events is hosted by the University of Edinburgh and organised by the OER community together with the ALT Open Education Special Interest Group. ALT (the Association for Learning Technology) is a professional and scholarly association which brings together those with an interest in the use of learning technology. As the UK’s leading membership organisation in the learning technology field, we work to improve practice, promote research, and influence policy. If you are writing about, blogging or sharing images and videos about OER16 using tools that support tagging, please use the tag #oer16.